Charming condominium quarter ownership just a few blocks from the Plaza. 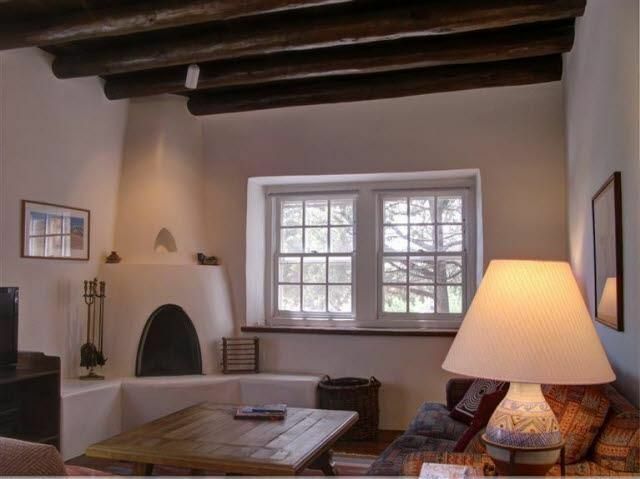 Beautiful architectural details found in gracious old adobe homes - vigas, coved plaster ceilings, kiva fireplaces, smooth plaster walls, hand adzed lintels above windows and doors. Talavera tile kitchen and baths. Walled, landscaped patio areas front and back. All furnishings and maintenance, inside and out by HOA. Fully compliant short term rental program.